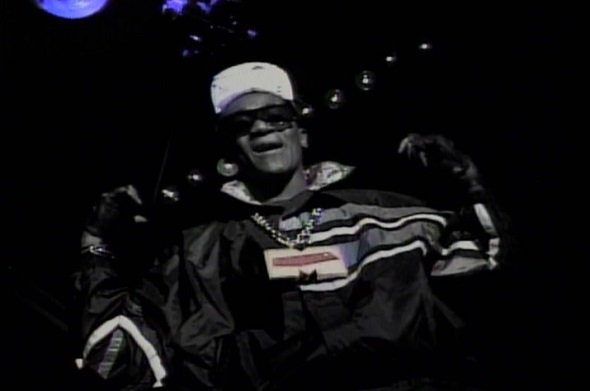 Pop quiz, hotshot: Can you name the very first Canadian hip-hop music video as listed in the MuchMusic archives? Hint: It’s not Michie Mee, Maestro Fresh Wes or even the Dream Warriors. 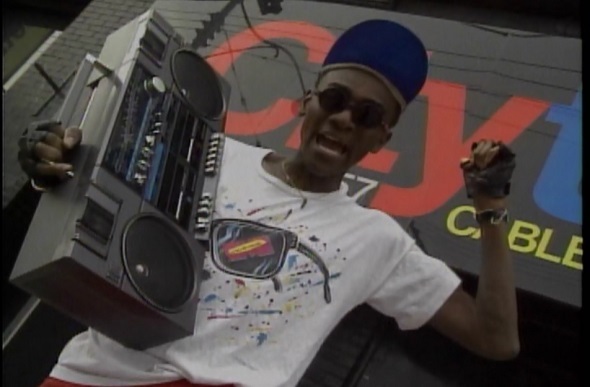 It’s Master T and the Super Hip 3’s colossal MuchMusic Groove, a part station promo, part party-anthem that helped prime the airwaves in 1988 for the oncoming storm of local Toronto rap and hip-hop artists who were about to blow up the dial. Back in 1987, Tony “Master T” Young was but a “lowly camera-dude” working at Much, shooting interviews for the Power Hour and hoping his breakthrough acting gig would turn up soon. 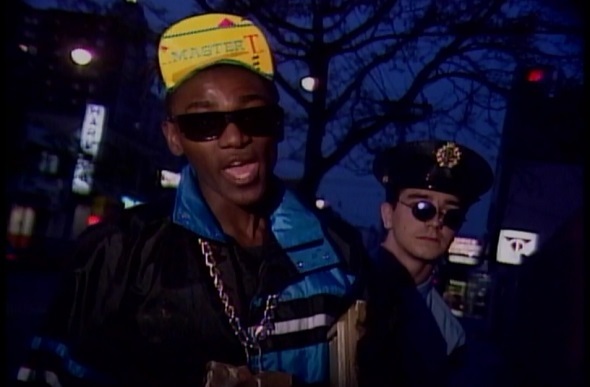 After doing some stunt double work in the Toronto-shot Police Academy 3 and cameoing in the opening to thePower Hour (that’s the future Master T holding a tape in his hand, watching music video director/Electric Circus creator Joel Goldberg crooning on the monitor), Tony wanted to step it up. This era at Much flourished under an almost supernatural creative pulse, one tenet of which encouraged staff to go off-site on Fridays to shoot promotional spots and fun station idents. While many absconded to the pub, Tony and his fellow cameraman Gord McWatters forged on making many memorable Much spots including the creation of a “Spy” character played by Tony who would chase or be chased by agents attempting to steal the soul of MuchMusic in a briefcase (shades of Pulp Fiction, years before its release). Visionary MuchMusic/Citytv creator Moses Znaimer famously had an open door policy, and one of Tony’s earliest memories is pitching him the idea of doing a short video to mark the stations historic move from 99 Queen St. East to the majestic 299 Queen St. West digs. Featuring appearances from Kim Clark Champniss, Erica Ehm, Chis Ward, Mike Williams, Laurie Brown and a freshly minted Steve Anthony, this short rap promo assuaged any concerns that moving would affect the madcap MuchMusic ethos. Quite the contrary, it promised a vast new canvas from which the “Nation’s Music Station” could continue to broadcast a high quality flow of music content and attitude. Perhaps the most important event to come out of this short was the moniker Tony Young adopted – Master T. “At that time I was like, what do I call myself? I was looking at a character generator, and at first it was Much Master T, then we shortened it to Master T, and it just stuck” Tony recalls. After the success of the Spy promos and the 299 Queen St. West spot, Tony and Gord were encouraged to shoot a full length video, but with few resources and a full-time job the task seemed daunting. After getting Znaimer’s blessing, Tony and his then girlfriend (now wife) Paula came up with the lyrics, done in the then popular party hip-hop stylee and focusing on the Much environment, the personalities and behind the scenes staff. They roped in a talented band who worked at Much and gave them silly names – Steve Vogt (Steve Snare), Dave Murphy (Lo-Tide) and Richard Oulton (Richie Baby) were christened “The Super Hip 3”, led by Master T and supported by Lady P (Paula), Tony’s brother Basil (DJ Mix Master Baz) and Gord as the shifty manager (Dutch). Once again Much’s on-air talent were enlisted, including Moses Znaimer himself seen dancing in his office during the video. Sensing something very cool was in the offing, everyone pitched in and many hands made light work. “The MuchMusic Groove” was born. The video premiered during a special party at the Beverly Tavern, the now long gone local watering hole for the 299 Queen Street gang. The sanctioned $400 budget was spent on chicken wings and pitchers of ice cold beer, and off the back of its roaring reception the video was placed into what Much termed “B-rotation,” which meant it was aired almost every day (you might even recall seeing it onSoul in the City). Not only that, the video was later used as an educational and promotional piece when industry people visited the building. Morale amongst those in front of and behind the camera noticeably improved. Not bad for a lark done during down time. Rather mysteriously, at some point in the 1990s the master tape simply vanished. “The MuchMusic Groove” became the stuff of hushed legend, with some viewers beginning to question if it had ever existed in the first place. By this point, after hosting X-Tendamix, fronting the MuchMusic Dance Mix CDs, then finally becoming a full blown VJ, Master T was firmly established as one of the key driving forces behind MuchMusic’s mega-success. Sadly, not even he held a copy of this important piece of Much, ergo, Canadian music history. After years of searching, Retrontario.com successfully located a copy of “The MuchMusic Groove” earlier this year. Those involved in the making will surely be happy to see it back out in circulation, as will people who missed it the first time around if only to remind us all of how progressive and free-wheeling the halcyon days of MuchMusic really were. Master T of course made waves last summer when he spoke out on the #GivethembacktoMosesmovement based on viewer’s frustrations with the current incarnation of Much, a fetid wasteland of missed opportunities and Simpsons reruns entombed in the mortuary that 299 Queen Street has become. Master T will soon be seen on FevaTV‘s Sooooo Special with Master T, where he has interviewed legends such as Billy Ocean, KC and Shaggy. FevaTV stands for First Entertainment Voice of Africa Television, showcasing entertainment programming from Africa and the African diaspora in North and South America, the Caribbean and Europe, and is spearheaded by Robert Onianwah. 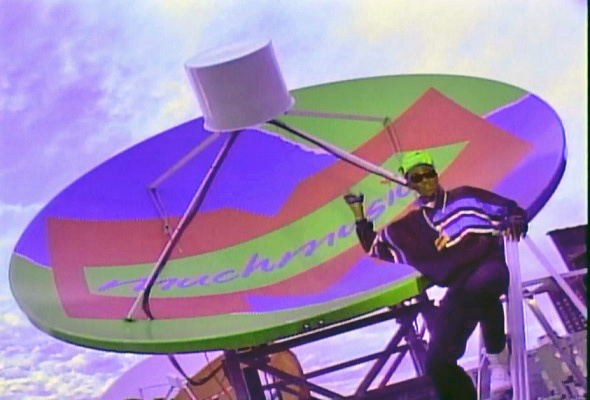 While we will probably never see a TV station populated with the likes of the characters who appeared in these videos, we can at least keep the old spirit alive online, and “get on up and move to the MuchMusic Groove”.